The pound suffered a heavy sell-off yesterday, skidding to its lowest level against the euro in almost a year as markets ramped up bets on Britain leaving the EU without an agreement with Brussels on their future relationship. The slide against the euro, the biggest one-day fall since the end of May, left the pound below 90 pence for the first time in nine months. That’s bad news for Irish exporters to the UK because it makes their goods more expensive. London-based traders reported a significant increase in investors hedging against a ‘no-deal’ Brexit, an event which could send sterling into freefall and hurt the UK economy by raising trade barriers with the EU. The exodus began after UK trade minister Liam Fox said on Sunday there was up to a 60pc chance the country could leave the European Union next March without a trade deal in place. There was no obvious trigger for Wednesday’s big moves lower, but rather a building sense of investor anxiety as the clock ticks down towards a series of EU-Britain meetings, starting in September, with no agreement in sight. Conor Haugh, head of retail customer business at Bank of Ireland Global Markets, said there was a “noticeable surge in customer hedging over recent days despite summer markets”. He said Mr Fox’s comments appear to have “upped the ante on Theresa May after her meeting last week with French president Macron couldn’t find a way around the current impasse in trade talks”. Sterling slumped half a percent versus the euro to 90.175 pence. The pound fell to as low as $1.2859 against the dollar. Analysts said the pound was also being hit by a growing realisation that, after last week’s Bank of England’s policy meeting, UK interest rate increases were likely to be as limited as one a year and contingent on a smooth Brexit. “What we are seeing is broad sterling weakness, a very aggressive weakening trend,” said Peter Kinsella, strategist at Commonwealth Bank of Australia. The BoE raised rates from crisis-era lows last week, but few investors saw the increase as a vote of confidence in the economy with so much political uncertainty ahead. “Some are thinking in the market that the BoE raised in order to give them ammunition to cut rates in the face of a ‘no deal’,” said Neil Jones, head of hedge fund FX sales at Mizuho Bank. Options markets supported the idea that there would be little relief in the coming months for sterling. Risk reversals – used commonly to hedge against expected currency moves – in sterling/dollar fell to their lowest since early March 2017. That indicates a sharp rise in demand for sterling ‘puts’, or options to sell the currency. Morgan Stanley analysts yesterday recommended investors take out a sterling hedge given the prospect of more volatility on the horizon, but added that Britain was still likely to secure a deal with the EU. 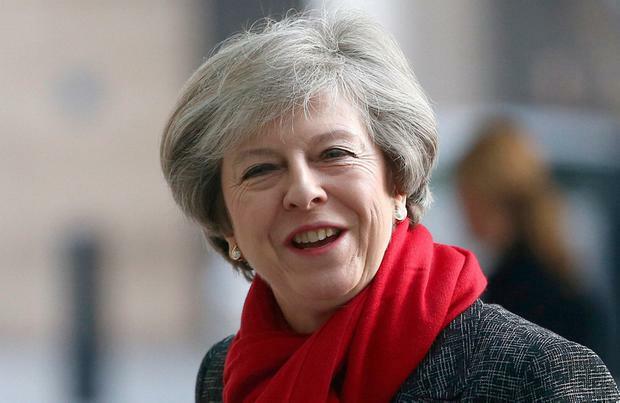 British Prime Minister May will discuss Brexit with the EU’s 27 other leaders at an informal summit in Austria next month and meet with them again in October to try to seal deals on the terms of Britain’s withdrawal. The pound has fallen 10.6pc since mid-April versus the dollar and is down almost 5pc year-to-date. Traders are also preparing for Friday’s reading of second-quarter British economic growth numbers, which might offer some relief. Elsewhere, HSBC has shifted ownership of its Polish and Irish subsidiaries from its London-based entity to its French unit, and will do so for seven more European branches, as it prepares for Brexit. Melania: rogue agent or tactical genius?